Opportunities to get your business name seen by hundreds of people. Specialist shops, visitor attractions, great arts’ venues, a unique craft heritage, beautiful open spaces and a year-round calendar of events see residents supporting Farnham and visitors returning time and time again. Whether your marketing objective is to mark a business anniversary, raise your profile, demonstrate your corporate social responsibility or to provide your staff with a team building exercise, we can offer sponsorship opportunities to suit all promotional strategies. 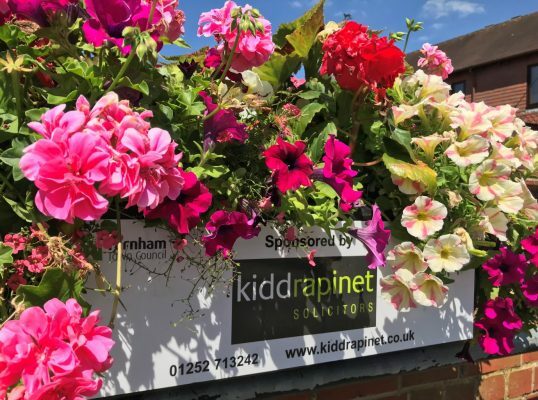 promote your business to your Farnham-based target audience. See our Invest in Farnham brochure and a summary of the opportunities or contact us to discuss tailor made opportunities.